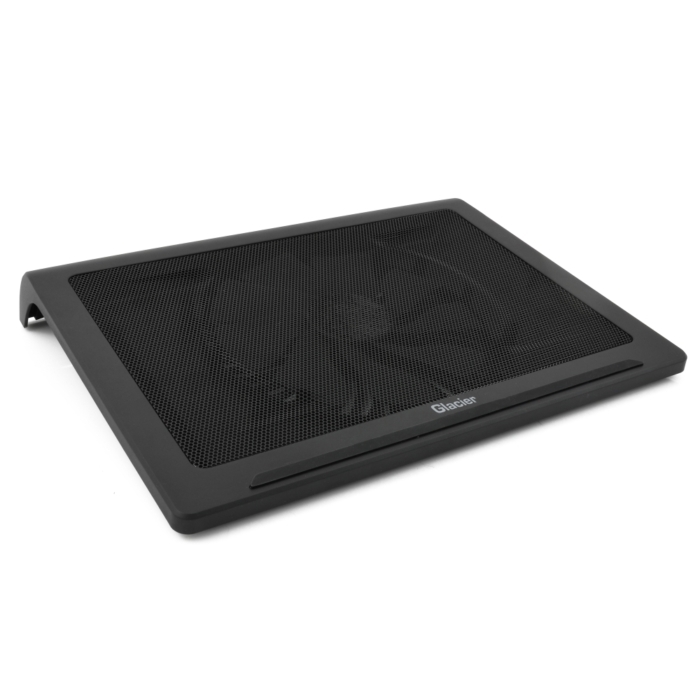 SilentiumPC Glacier NC400 cooling pad provides the laptop with proper access to cool air. Thanks to this, it’s fans can spin at lower speeds, and the whole set will be clearly quieter. 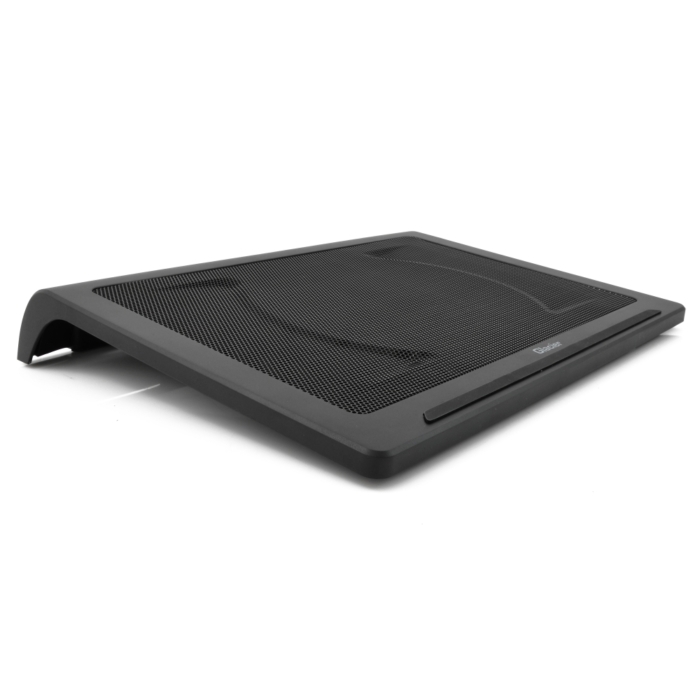 Glacier NC400 is a laptop cooling pad made of highest quality materials. 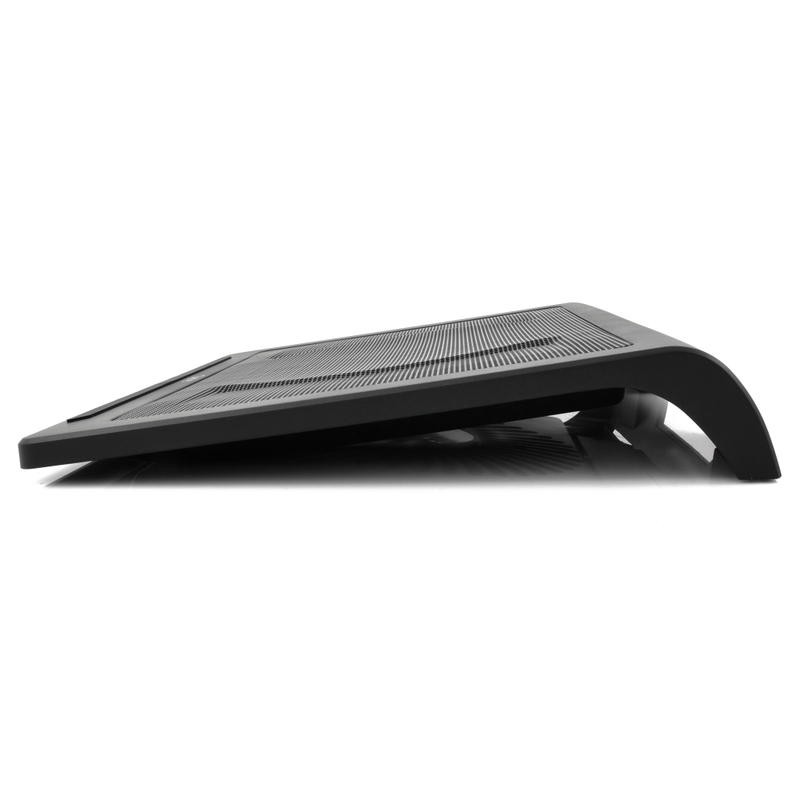 A solid, stable and ergonomic design improves the comfort of using the notebook. Unusual design and elegant appearance are its additional advantages. 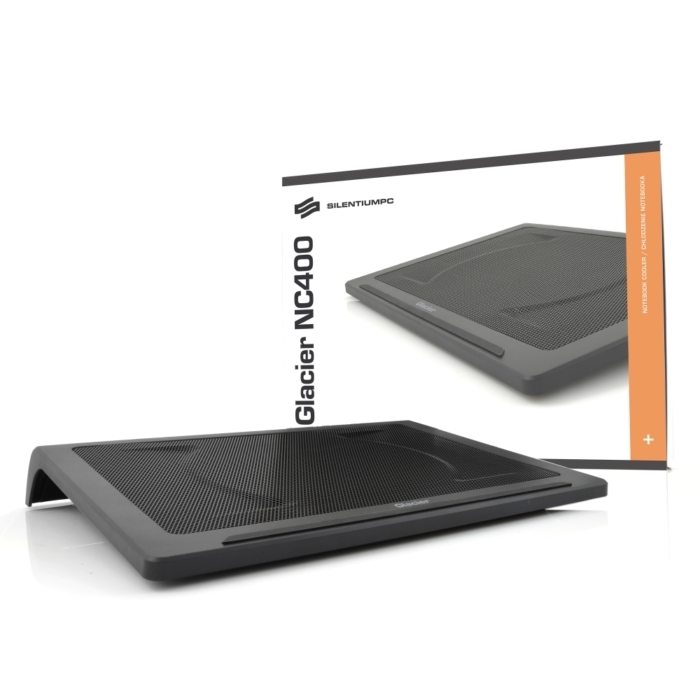 SilentiumPC Glacier NC400 pad is equipped with a 200 mm fan and a two-stage speed adjustment system (modes: efficient and comfort plus the ability to turn off the fan). 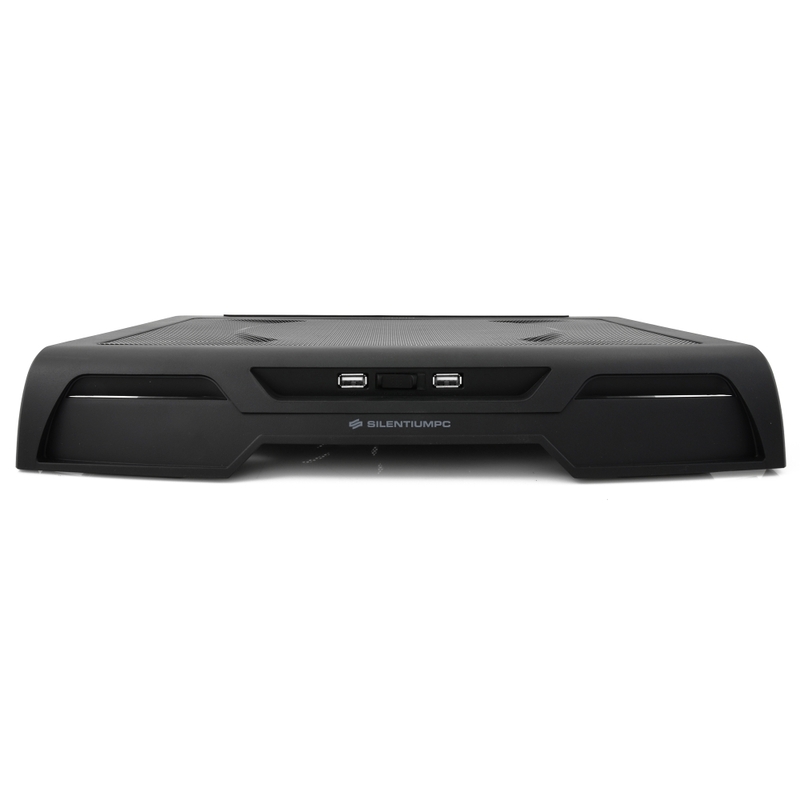 Glacier NC400 is powered via USB port. 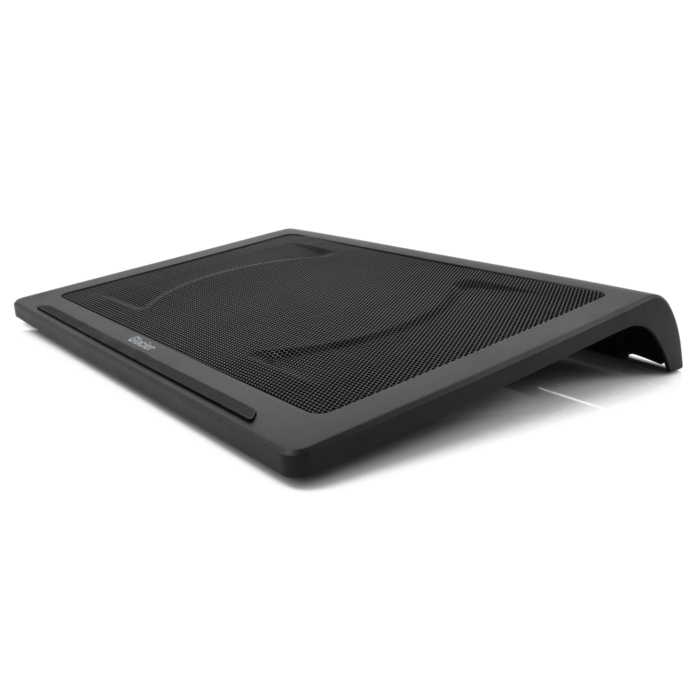 On the back of the pad, there are two USB ports, which compensates for the need to power the fan from the laptop’s port. 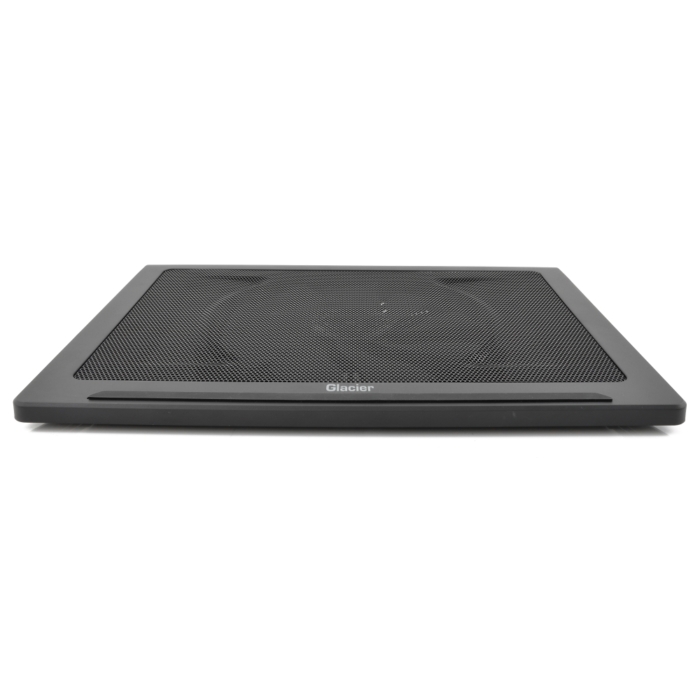 The fan of a Glacier NC400 is powered from the laptop USB port. Therefore, there is no need to connect additional power cords (e.g. from the home electricity network). Glacier NC400 doesn’t limit the number of available USB sockets. On the back of the pad, one USB connector has been doubled, which will allow to connect any accessory they want. 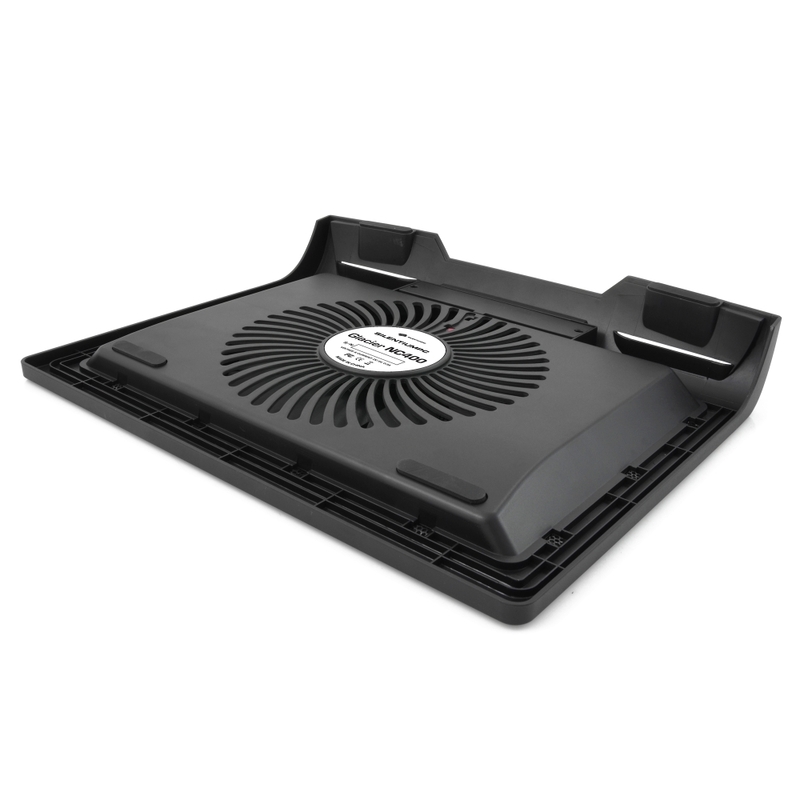 A large 200 mm fan allows users to deliver large amounts of air to the laptop without the need for high rotational speed. As a result, the Glacier NC400 cooling pad is very quiet, especially in comfort mode.